If you are searching for that fun, unique, or gift for the person that has everything, then I highly recommend Hammacher Schlemmer! It is their mission to enhance customers' lives by bringing them unique products that either solve problems or further their lifestyle, and eliminate their need to comparison shop by providing them with not only the best products in the marketplace, but the information supporting the reasons why these products are truly the best. I completely agree that they offer The Best, The Only, & The Unexpected because I found both what I needed and unexpected to find from Hammacher Schlemmer: Blackout Drapes and a Jump and Learn Trampoline. The Home Theater Blackout Drapes. The sun beats right through my daughter's window right during naptime and we did not have any curtains that could block out this bright sun. We were literally using two sets of curtains - one hung and one tucked in the top. I was constantly re-tucking, re-adjusting and re-hanging these two sets and it was driving me CRAZY!!! I was so excited to see that Hammacher Schlemmer carried blackout drapes and that I was going to finally have just ONE set of curtains that blocked the sun instead of two! These are the drapes that create a true theater-going atmosphere in a living room or media room by blocking distracting light and noise. Reminiscent of the curtains hung in movie houses, these polyester velvet drapes feature a patented coating proven in independent laboratory tests to block 100% of intrusive light and up to 40% of exterior sound. They are also ideal for use in bedrooms to promote sound sleep. 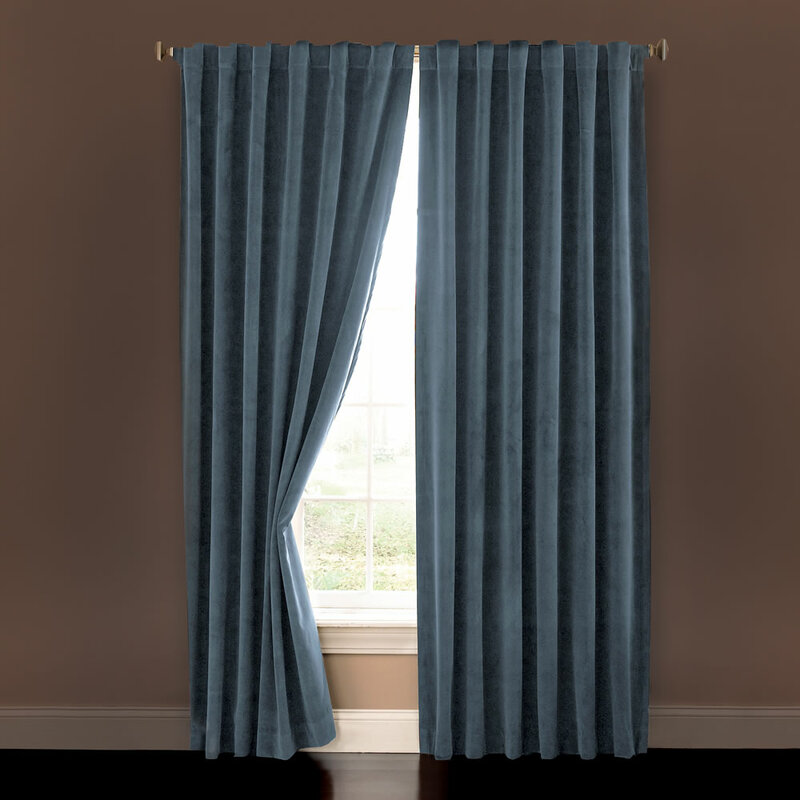 The machine washable drapes have rod pockets and back tabs for easy hanging. They are sold as a set with two panels and come in Stone Blue, Café, or Chocolate. These curtains work great, look great and I LOVE that they are machine washable and were really easy to hang! 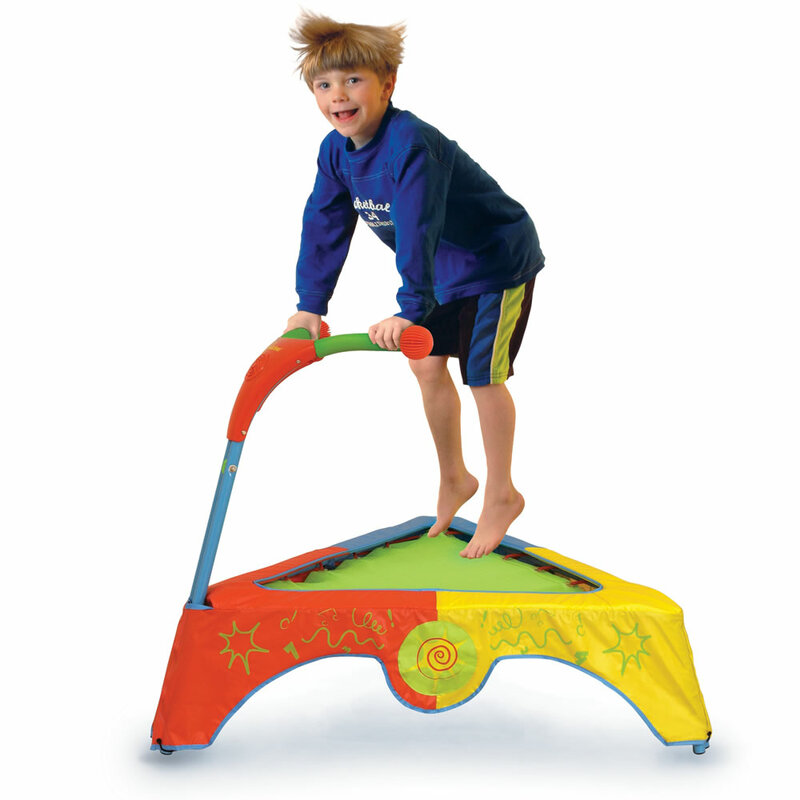 I was searching for a great way to give my son a way to release his extra energy this winter when he can't get outside for a walk or run! He has a lot of energy that gets bottled up in the winter and we already miss our daily walks! However, we don't have a lot of room in our small house so I needed a solution that was not only fun exercise but also small enough for a small room! So as you can see, Hammacher Schlemmer really does have vast and various gift ideas for everyone on your list this year! Have fun exploring their site and spending hours browsing their great selection of innovative, fun, and problem solving problems! Buy It: You can purchase these products and so many more from the Hammacher Schlemmer website.